As you know, all of us at Mailbird are so fortunate to be able to work with a wonderfully international team from around the world, and we are mega excited to announce the first Mailbird Hackathon 2014!! Because this is a really special time where all of our team members come together at the Startup Getaway (a Startup Studio by Livit) to put in long hours coding, planning, developing and prepping the next big things to come for Mailbird. With intense collaboration, we’ll be working around the clock just for you guys. 2) Designing and developing final versions of a beautiful and productivity packed Mailbird 2.0, you are seriously going to love it! 3) A new licensing system making it much easier activate and set up your Pro account, it will no longer be associated with the email you used when going Pro. Also, it will handle subscriptions like a charm. 8) Educating others just like you, about how Mailbird can help you manage email better and free up more of your precious time so you can focus on the important stuff. Stay tuned for Hackathon progress updates on our blog! 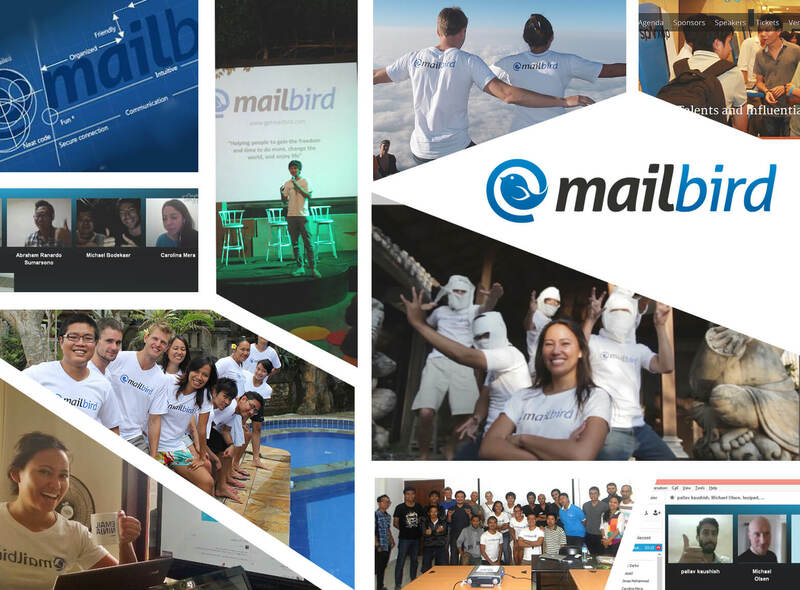 9) Finally, Mailbird is HIRING! Join our team, have a blast, learn a lot and be a part of our big vision to build the world’s best email solution that is highly secure, fast and innovative. We are looking for an experienced Senior C# back end developer here are the details, please share. We are simply looking for someone who rocks at coding – because building an email client is no easy feat. 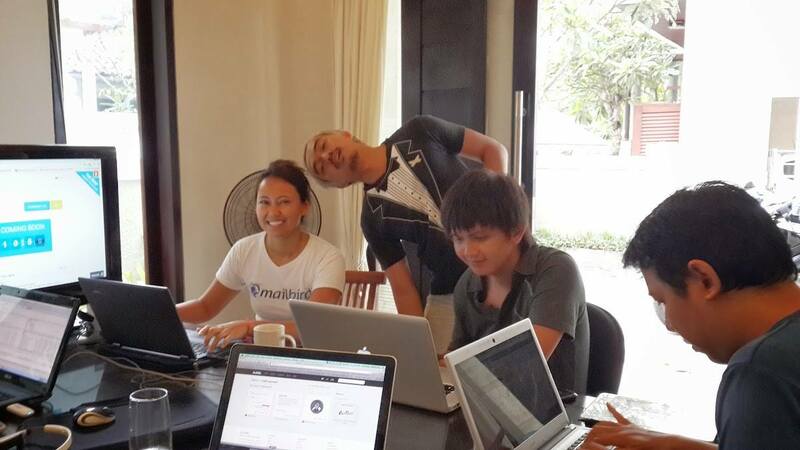 Get ready, because the Mailbird Hackathon commences Wednesday October 22, 2014 and ends Sunday November 23, 2014. It’s going to be epic. If you have any special wishes or requests that you would like us to work on please do let us know by visiting our feature request page or by emailing [email protected]. We are here to listen and make Mailbird really awesome for you. Finally, we just want to tell you how much you rock! From the bottom of our hearts, we thank you for choosing Mailbird. Thank you for giving us your vote of confidence in delivering a beautiful, fast, secure, highly productive and innovative email platform to the world. 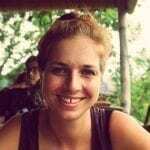 77 thoughts on "Mailbird Hackathon Commences!" is there a spellchecker for the quick reply window? Can you add more font choices? Just in case, it would be great if the spellchecker can auto-detect the used language in the mail (or in each paragraph). Mac OS X Mail app does that, and it’s great if you write mails in several languages on a daily basis. Time for flat design and apps for smart phones in my opinion. We’ve done a complete redesign of 2.0. An app for Android would be great! And also, more editing tools, like html integration, newsletter pre-made designs, etc. Great job anyway until now :D! Thank you for this great client! Just make it faster and am happy… its so slow I don’t check email on my windows machine anymore. Thanks for the reply, will get in touch. The only and the biggest issue for us is mailbird is so late getting emails. All our devices get mails before mailbird. Hi, this sound like an issue of too many connections at the same time. Can you send an email to [email protected] so that we can investigate the issue? We actually already have label management right now. Here’s a link to more info about it. – A Format Painter button for when you copy text from another app you can easily reformat it. Thank you for your feed back. I’ll make sure our developers hear about this. Just want to say, another vote for handling .ics attachments natively! Any chance of adding standard text editing functionality? It’s currently far too basic 🙁 Indents for example. You can indent with Ctrl+Tab. It works with demoting (tab) bullets too. To promote (shift+tab) a bullet, clicking the bullet icon on the WYSIWYG bar usually does the job. Some coworkers reported me that my emails (composed with Mailbird) contains different fonts or styles (sometimes in the same paragraph) even when I see my emails correctly on Mailbird. Is there some fix about this? Do you need a special test case? Supercharge filters. Look at the presentation of Facebook and Google+, with regard to linking recipients and sender, also the ability group emails, perhaps by means of tags or #hashtags. Why you not switch to D language ? A unified inbox, fresh for 2.0, would be a welcome feature. Yeah, that was my mail 🙂 I re-checked my inbox and found only “Mailbird welcome email”, no personal replies 🙁 I’m filtering spam by myself (I’m getting it once a month), so nothing goes to Spam folder without my click action. Mine doesn’t always show the sent message along with the reply. Can the icons on the left also have the name of the icon next to it rather than or as well as when the mouse hovers over it. Hej Michael – have tried that but nothing happens. Have found it now – thank you. Great product-possible to make it more touch friendly for windows 8 laptops? Any chance to drag and drop mails from , say, inbox, to another folder? Currently you only get the option by right clicking in the messge header in the middle [messages] panel. Thanks for the clean interface! #1 should be the unified inbox. #2-#9 should also be the unified inbox. Also, why are the avatars in the back flipping us off? 1) A well integrated contact manager – with the ability to import and exchange contact data with Gmail, Outlook (the program), Hotmail, and the native Windows contacts feature. 2) A well integrated calendar manager – with the ability, as noted above. 3) Offline storage capability – with the ability to create user chosen folders for storage of messages and attachments – this is a critical issue for modern business given the record keeping and legal demands prevalent today. Online storage capacities are rapidly exceeded in the business world and additional storage for online storage are unnecessary expenditures. 4) Following #3 above, the abilty to read, import, and write data to Microsoft Outlook “pst” files would be a powerful approach to solving the offline message storage issue – AND would really make business transitioning to Mailbird almost a “transparent” and painless move. Such read/write capability need not include any feature capabilities that Mailbird would not natively support. Here’s hoping that Mailbird progresses forward! Awesome, thank you for your feedback, contact manager and native calendar is coming with Mailbird 2.0. As for offline storage and Import, they are already planned for future updates. Thank you Pattyz!!!! Great suggestions and we are going to work hard on. We have spellchecker currently and yes more fonts would be great. Get ready for 2.0 in terms of backgrounds – some nice color theme customization coming your way! Stay tuned. It’s in the roadmap to create an advanced search allowing for you to search for specifics – like within particular folders, To field, subject lin etc. Love the requests 😀 thank you! Really looking forward to hearing about everything that you’re working on! I just want to be able to delete contacts! When we can get this feature? This will be available soon in Mailbird 1 even. It’s currently being alpha test. No ETA yet on the release though. I would love to get the drag emails for folder option soooo bad. There is a shortcut already today though to help you do it. Press “V” to move to folder, or “L” to copy to folder. —Ability to tag multiple messages at the same time, and to archive or delete multiple messages in the inbox all at once. Loving Mailbird and looking forward to 2.0! I would love to be able to drag and drop emails to folders also. And, it would be a time saver if I could tag multiple messages at the same time, and archive or delete them all at once. Thanks for a great piece of software! Hi, I really love mailbird, but for my business it’s necessary manage archives of mails and be able to backup of each archive on a specific path. Thanks guys. Awesome work, continue in this way! Can we please get support for iCloud contacts and calendar? This is so important for managing to work alongside iPhones. iCloud email woudl be good too. Can you give us an option for embedding replies without the line down the left? Just a normal inline copy would be great. I just thought I could throw in my two cents. Love what you guys are doing btw! 2. I think maybe different layout options would be great too like split-horizontal messages or some other design you guys can come up with. Cheers! Waiting for MailBird 2.0 and hope that CalDav and CardDav features will be included ! Won’t be able to use it for my companies until you have a unified inbox and unified search, but when that comes, I’ll definitely give it another try. Hiring!?!? COOL! How about me for uh.. senior do-nothing-but-sit-at-home-and-get-paid? Yes please! an app for Android would be awesome! Is there an Android app in the works? Please and thank you! From some reason the mailbird software time isn’t correlated to the PC clock and users that I am sending emails to are complaining that it’s messes up their inbox. How I can change the time?